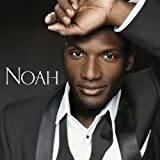 [Opera Lively interview # 130] As part of our coverage for the upcoming outdoor concert Opera in the Pines by North Carolina Opera in Cary, NC on May 17, 2014 at 7 PM (Koka Booth Amphitheater, rain or shine) we interviewed tenor Noah Stewart. See Opera Lively's full announcement with more details including the artistic information about the other three singers (Hailey Clark, Ted Federle, and Kate Farrar) by clicking [here]. Tickets ($37, $25, and free for children under 14) may be purchased online at www.ncopera.org or by phone at 919.792.3850. We've heard all four singers before, and they are all good. The Koka Booth Amphitheater is a great lakeside venue with a lawn where patrons can bring their own pic-nic baskets including alcoholic beverages, or they can purchase drinks and meal packages from the venue. This will be a fun evening of opera, not to be missed.